This badge was issued to Jamie Storey on 24 Aug 2018. 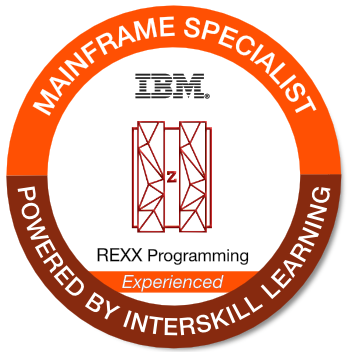 This badge earner has experience with REXX’s code structure and syntax, and can describe how it is used in a z/OS environment. The individual can code REXX to perform execution branching, conditional processing, looping, debugging tasks, and can invoke built-in functions for character manipulation, conversion, and information purposes.